Our Vision is to support the ‘cause and to help bring more ‘breast cancer awareness’ for the fight against breast cancer. 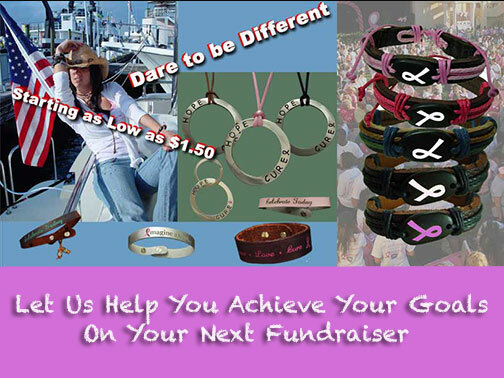 Our Mission is to bring you the coolest bracelets imaginable for breast cancer awareness. Each cancer diagnosis is unique and so our breast cancer bracelets. Cancer bracelets are handcrafted and designed by us. Many of our breast cancer awareness products can only be found at ‘She Rocks’. Not only will you be promoting breast cancer awareness from your purchase, but ‘She Rocks’ will also be donating a portion of the proceeds to breast cancer research on your behalf. Imagine a cure… She Rock’s company was conceived to provide unique gifts for breast cancer awareness and support. 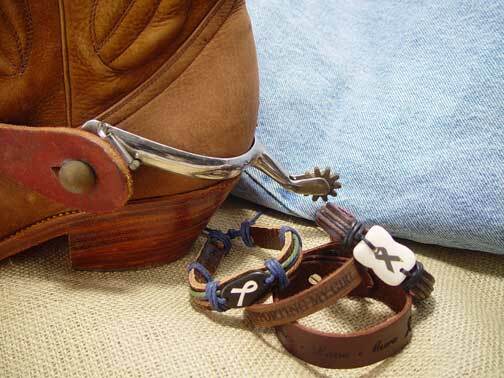 3125 VINTAGE BROWN LEATHER BRACELET WRAPS AROUND AND AROUND WITH SILVER CHAIN FOR ADJUSTING AND DANGLING SILVER HEART. SPARKLING SLIDE CRYSTAL HEART CHARM.